GRAND PRAIRIE, TX--(Marketwired - July 18, 2016) - Airbus Helicopters Inc., the U.S. sales leader in law enforcement helicopters for more than a decade, will exhibit the Seminole County (Fla.) Sheriff's Office H125 AStar at the 2016 Airborne Law Enforcement Association (ALEA) Annual Conference and Expo in Savannah, Ga., July 18-23. 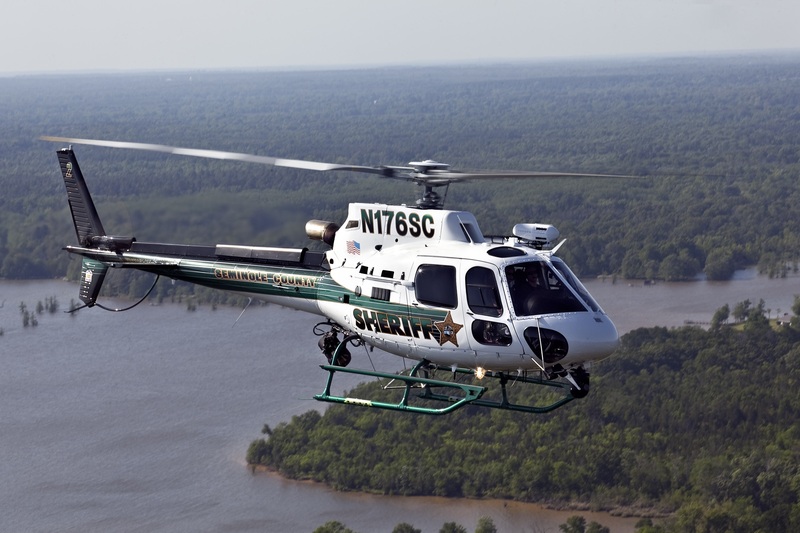 The Seminole County Sheriff's Office operates two H125's (formerly AS350 B3e) to conduct a wide variety of law enforcement missions, including patrol, search & rescue and aerial firefighting with a Bambi bucket. 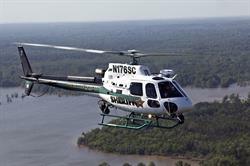 Airbus Helicopters Inc. produced the Seminole Sheriff's H125 at the company's Columbus, Miss. production facility. Metro Aviation, in Shreveport, La., installed the law enforcement completion package. "The H125 has been a workhorse for our agency," said Sgt. Steve Farris, Chief Pilot of the Seminole County Sheriff's Office Aviation Unit. "The power and performance of the H125 make it easy for us to perform all of our missions. And the support that we get from Airbus Helicopters with spare parts and training has been excellent." "The Seminole County Sheriff's Office has been our customer for over 10 years, and their H125 has proven to be reliable and mission-ready to support the deputies on the ground," said Ed Van Winkle, Director of Market Segment Sales for Airbus Helicopters Inc. "The tail rotor authority of the H125, combined with the power of the Arriel 2D engine, gives SCSO pilots the capability to conduct hoist operations and firefighting in the heat and humidity of central Florida, while still providing a significant safety margin." Airbus Helicopters' H125/AS350 AStar-series helicopters are the most widely purchased by U.S. law enforcement agencies. More than 240 are in use nationwide with 44 different law enforcement agencies, 75 of them delivered in the last five years. Airbus Helicopters Inc. leads the U.S. market in sales of new helicopters to federal, state and local law enforcement agencies with a 56 percent market share over the last decade. The spacious cabin and modern safety features of the H125, including energy-attenuating seats, a crash-resistant fuel system, and a Vehicle and Engine Multifunction Display, make the AStar an industry leader. The cost-effective H125 is the latest model with high cruise speed and range, and the ability to conduct a wide range of missions. It is built and certified in Columbus, Miss. For more information on Airbus Helicopters industry-leading law enforcement helicopters stop by ALEA Booth #110 at the Savannah International Trade and Convention Center. Airbus Helicopters, Inc. is the U.S. affiliate of Airbus Helicopters, the largest helicopter manufacturer in the world, and a subsidiary of the Airbus Group. Airbus Helicopters, Inc. manufactures H125 and UH-72A helicopters and markets, sells and supports the broadest range of civil and parapublic helicopters offered in the U.S. The product line represents the industry's most cost-effective, technologically-advanced helicopters serving all markets and missions. The company's headquarters and main facility are in Grand Prairie, Texas, with a large manufacturing and production facility in Columbus, Miss. For more information, visit www.airbushelicoptersinc.com.